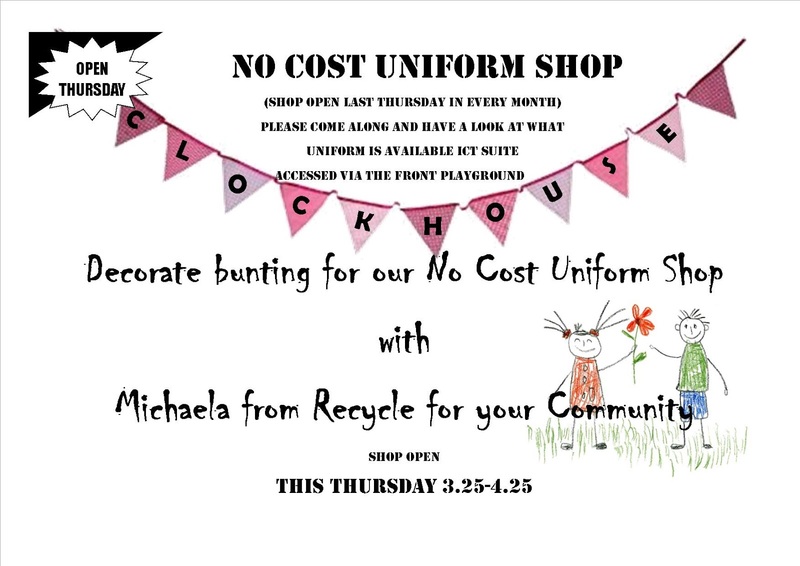 Do not forget the NO COST UNIFORM SHOP this Thursday. 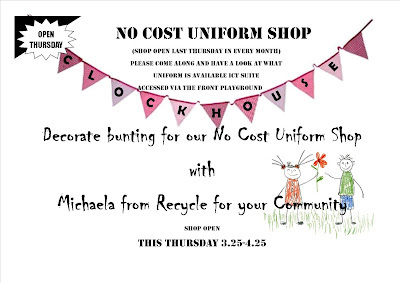 If you are in need of any uniform please come along and take a look. Your child can also help decorate bunting for the shop which is in the ICT suite accessed via the Key Stage 1 playground.